We Sampanna Group truily belives in strong and long term relations, we strives to bring, assure the best products & services to our customers/members. We are proud to be associated with the like minded companies who have proven R&D facilities and are working for envirement friendly agri-inputs, for which we are the distributors for national & international associates. International Leader of Natural Organic Fertilizers and Nutrition Specialties. Valagro believe in the power of Nature, a power which can be used through scientific advances without compromising it. We only have one environment and even small changes can have serious consequences on a larger scale. With this in mind we have chosen sustainable innovation, which by using the most modern technologies, borrows valuable active ingredients from nature and returns them to nature itself to then obtain healthier, richer,better harvests. For over thirty years plus, being a manufacturer has, to us, meant building a value to be shared with our Customers, at every step of the process, with passion and commitment. This is what has made us a leader in the international market for nutrition and plant care. Over the years we have expanded our presence in the world, diversified our offer, provided quality services alongside our products and given our customers complete solutions. Today Valagro is a large company with 250 employees in Italy, 11 subsidiaries, a distribution network covering 80 countries, a significant production capacity, sales of 85 million Euro, adhering to the most stringent international certification. What has not changed, and what will not change tomorrow, is the passion that motivates us, the values that sustain the passion and the vision that feeds it. CPE (Corporación Patricio Echeverría) We are an international Spanish group, partners of clients and users with the aim of assisting them daily. 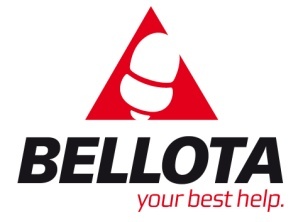 Bellota a Leading brand among agricultural and construction users in Spain, Portugal, Italy, Greece and in Latin America. We serve in almost 120 countries in world. we have 14 subsidiary in world , we are in Agriculture , Horticulture & Construction. We have expertise in manufacturing quality & Exclusive products since 1908. Leading brand among agricultural and construction users in Spain, Portugal, Italy, Greece and in Latin America. Leading Brand in the development of high quality tools for all gardening and landscaping needs in the United States. Leading brand in agricultural Tools forged in Brazil. Deep Drip is one of the most effective devices to get water, oxygen and fertilizer to your tree and plant roots quickly and effectively. Patent Pending Deep Drip tree, shrub and plant watering devices come in three sizes: 14, 24 and 36 inches. Winner of “Retailers Choice Award”-Award of Distinction at National Hardware show. The company has a strong commitment to helping the environment and conserving valuable resources. Zenport Industries – Tigard,Oregon, USA. Zenport Industries is a worldwide leader in the manufacturing and marketing of professional and consumer specialty horticulture tools and supplies for the lawn and garden, landscape, irrigation and agriculture markets. Zenport products are available worldwide via our retail and distributor networks. Zenport has remained faithful in its commitment to continuous quality improvement in design, development, and engineering. Today, Zenport Industries is divided into three unique product divisions: Zenport Specialty Horticulture Tools & Supplies, Zen-Tek Instruments, and Zen-Tek Safety. Zenport Industries offers a complete line of innovative, durable specialty horticulture tools and supplies to make it the best choice in tools, instruments and safety equipment for agricultural professionals, landscape professionals and avid gardeners alike. Zenport is headquartered in Tigard,Oregon, USA and has a production and logistics facility based in Tainan, Taiwan. ITALPOLLINA is a world leader in the production of organic fertilizers, biostimulants of vegetal origin and beneficial microorganisms. A comprehensive and diversified catalogue is available in more than 60 countries worldwide and offers a wide range of innovative solutions for a modern and sustainable agriculture, whose principles are alimentary and environmental safety. The company have its own formulated products and setting up of laboratory for R & D . The company’s product range now includes BIO-ORGANIC FERTILIZERS, BIO-PESTICIDES,MICRO-NUTRIENTS ,SPECIALITY AGROCHEMICALS as well as PESTICIDES. The marketing – Company is operating in 18 states and expanding its reach. Export : WORLD RIGHTS for distribution of our products to a Hongkong based COLOTEX COMPANY LTD and we have started EXPORTS in May 2008 . The company has NURSERY DIVISION for Plant Nursery Centers across India under banner of SWAROOP’S HOME GARDEN SHOPPEE. SHRI DISHA BIOTECH PVT.LTD. was established in the year 1995 as a SMALL SCALE INDUSTRY (SSI) unit and engaged in production and supply of ecologically safe agricultural inputs like Bio-pesticides, Bio-fertilizers and Organic manures to the Indian Farmers. Its main focus is an Integrated Pest Management. Over the years has achieved tremendous excellence in the field of biotechnology and has given to Indian farmers the best Neem based formulation under the brand name of “NIVAAR”. Company ha well qualified team of professionals in Research and Development (R&D). The focus of R & D will has kept us ahead of competition and has created a place in India among global players. Shri Disha Bio Tech believes in sustainable Agriculture and truly provides environmentally safe biological and biotechnology based products. We have farmer proven in house developed Neem products. 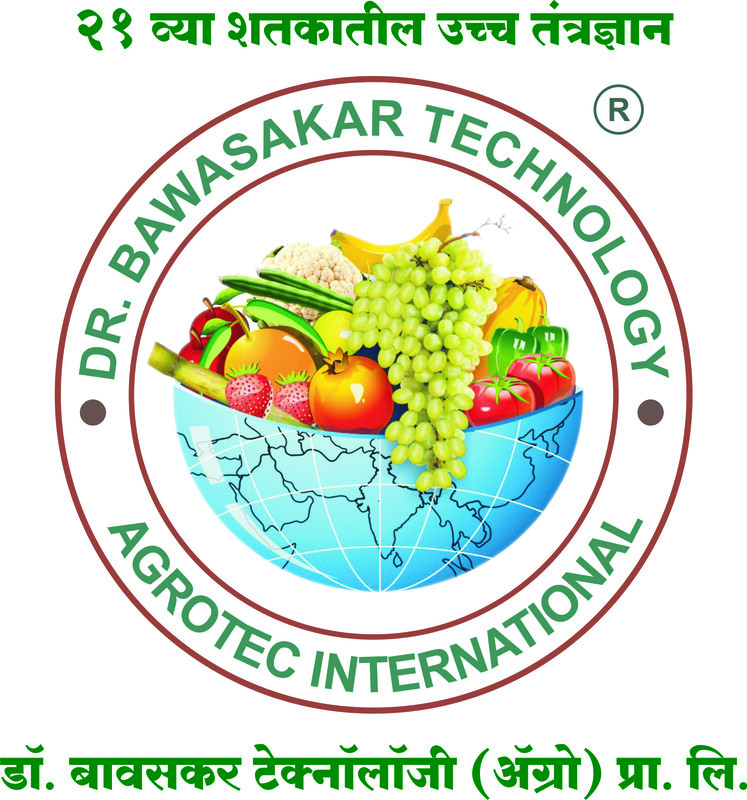 Dr.Bawaskar Technologies (Agro) Pvt.Ltd Pune. Maharashtra. ‘Dr. 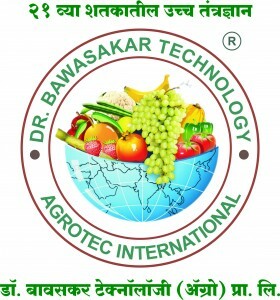 Bawasakar Technology’ Research Institutes engaged in guiding in Agriculture and the medicines (Saptamrut)- Germinator, Thriver, Crop-Shiner, Ripener, Protectant, Prisom, Nutraton and Kalpataru- organic manure, are not only for higher yield and quality. Vikas Ratna award 1994- New Delhi. Hind Rattan Sword of Honor- 1996 Bahrain. International Gold Start Award-1997 Abu Dhabi. Rashtrya Ratan Award -1997 Oslo Norway. International Man of The Year Award-1998 Cambridge. Quality & prestigious Award -2004 of Spain Vienna (Austria). The House of Stanes, a proud lineage that began way back in 1861, with Sir Robert Stanes. The organisation was founded as a planting company and the coffee curing works were installed in a temporary workshop acquired from the Madras Railway Company, Coimbatore. This marked the beginning of an Enterprise, a beginning for greater things to come: expansion of plantation holdings; diversification into Fertilizer mixing (1890), Automobile Workshop, Tyre Retreading (1940),and many more. In its centenary year, 1961 the House of Stanes became an integral part of the Amalgamations Group. The group with an annual turnover of around 7000 crores is one of the largest light engineering groups in South India with 42 companies, five among them have completed over one hundred years of operation. Godrej Agrovet Limited (GAVL) is a diversified agribusiness company dedicated to improving the productivity of Indian farmers by innovating products and services that sustainably increase crop and livestock yields. The Agri-Inputs business is a niche player in innovative agrochemicals, with strong market share in plant growth promoters, soil conditioners, and cotton herbicides. Deepak Fertilisers & Petrochemicals Corporation Limited – DFPCL is a publicly held company engaged in the manufacture of ammonia, chemicals and fertilizers. The company was incorporated in 1983 and has its registered office located in Pune, India.Company has received the US Pharmacopoeia certification under the excipient verification program for its IPA product and enjoys the distinction of being the first company in the world to have received this certification.DFPCL selected as a winner for – Excellence in Fertiliser Extension Services award DFPCL is ranked 5 th as per the total income in the Chemicals sector by Dun & Bradstreet, India’s top 500 companies 2008. An engraved plaque, commemorating this recognition was received recently. Dun & Bradstreet is the world’s leading source of global business information and profiles India’s most respected and high performing companies on the basis of various financial parameters. Deepak Fertilisers & Petrochemicals Corporation is one of the leading producers of industrial chemicals and nitrophosphate fertilizers. Company also offers fertilizers such as nitrophosphate, mixed, Mahadan Potash, and Mahadan power and Mahadan Chetak fertilizers.The company’s products are sold under the Mahadan brand name. Its fertilizer products are marketed in Karnataka, Uttar Pradesh, West Bengal, Gujarat, Maharashtra, Madhya Pradesh, Andhra Pradesh, Haryana, and Punjab, India. Deepak is committed to implementing new and efficient measures for maintaining constant growth and production of quality commodities. It also aims to enhance its distribution network and probably introducing training and education in the respective field for farmers as well. Vivekon, M & M Industries, are a team of technical and experienced professional individuals with good academic record, strong research and field experiment back bone. M & M Industries is an ISO 9001:2008 certified company established in 2004 and having market presence in twelve countries (India, Sri Lanka, Bangladesh, Myanmar, Iran, Turkey , Vietnam Australian, New Zealand, Mexico, Kenya and South Korea). Our entire range is widely acclaimed due to its conformation with Global Quality Standards. Vivekon are inventor and patent holder of our revolutionary product – VISILON8083 (Its world class organic certified silicon super spreader). Vivekon are a member of FIEO (Federation of Indian Export Organizations). Our products are Certified Organic Inputs for organic farming by IFOAM accredited BIOCERT India (IFOAM – International Federation of Organic Agriculture Movements). Our Executive director, Mr. Manohar Shete is a committee member of ASTM International, United State of America. Our range of products gives complete solution for organic crop production, organic yield boosting and organic way of plant protection. 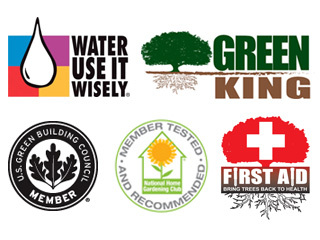 Our product range leads to environment protection and gives food safety.